What images typically pop up when you google HR consultancy? Chances are you’ll be put off by the ranks of grinning stand-ins and stock photography exuding fake warmth. Forbury People, which takes its name from the exchange just outside one of mediaeval Europe’s largest abbeys in Reading, begs to be rather different. 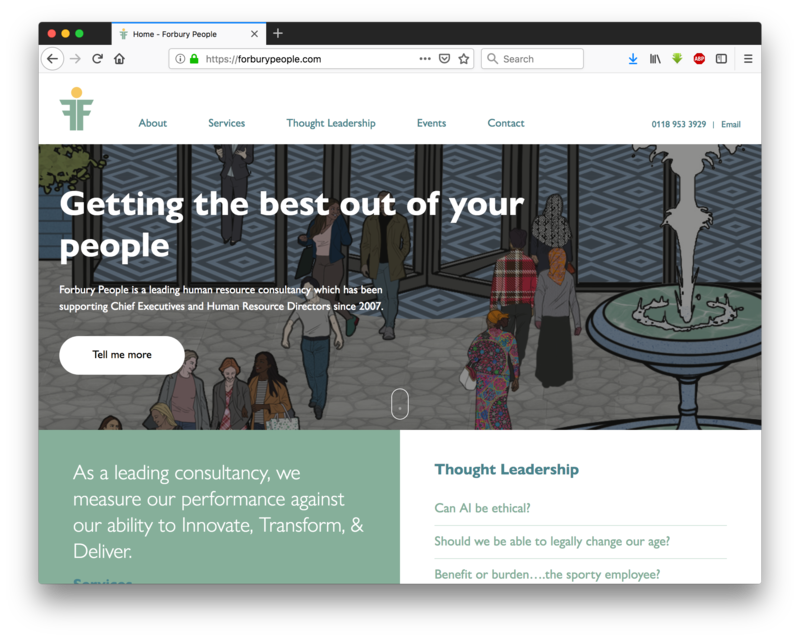 It takes a refreshingly imaginative, yet no-nonsense, approach to the complex business of helping UK and international clients manage their teams and workforces through times of rapid change. Unusually, Forbury People’s principals are legally qualified as well as being thoroughly versed in all manner of corporate, labour and people management challenges. This ensures that consultants’ recommendations are always actionable as well as pragmatic. Forbury’s new identity, informed by a series of principals’ workshops led by Spada, enshrines the team’s global reach in an arresting double F icon which can be read as a human shape, both giving and receiving. Working in close collaboration with the team Spada has also evolved a wider visual vocabulary composed of pastel colourways contained by hard black line illustration to echo the firm’s deft, humane yet robust approach.